GlassRoots offers 45 minute to 1.5 hour professional development workshops (at our studios) to teachers of any subject area to learn and improve upon teaching skills through the art of glassmaking. Skills include teambuilding, communication, leadership, competition and teaching through STEAM. 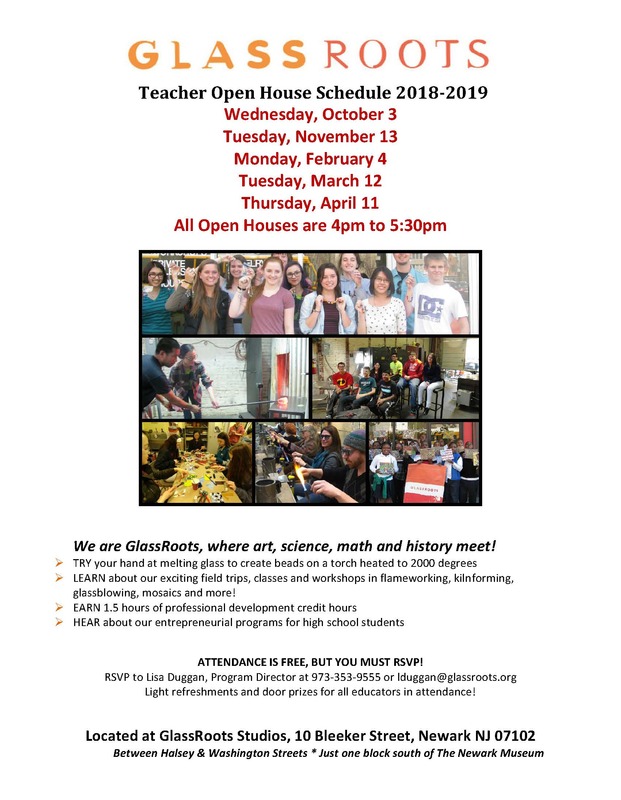 Click here to download our schedule of Teacher Open Houses.